PRICE REDUCTION! 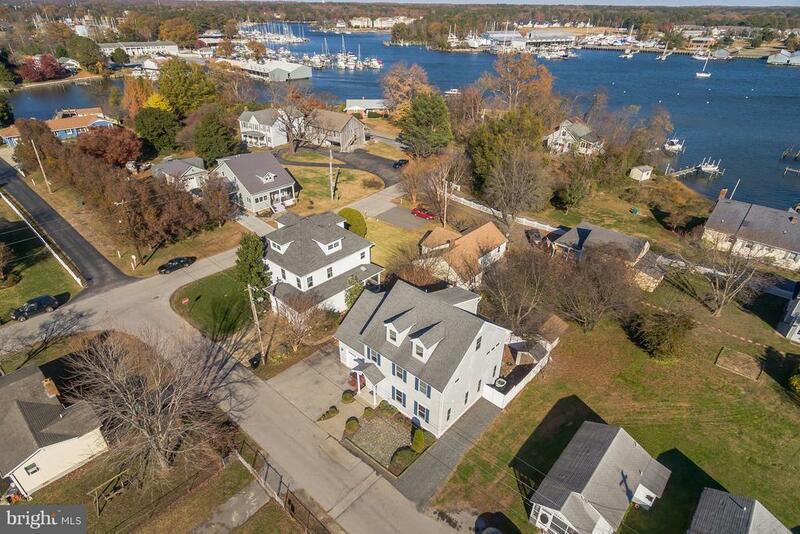 Historic Solomons Island Charm. Custom built 3-story with beautiful water views from upper two floors. Huge rooms throughout, tons of storage, third floor is large bonus room with full bath and a whole wall of built in cabinets with a window seat, no lawn maintenance- much hardscape, many custom features including pocket doors, all ceramic baths, beautiful hardwood floors, under cabinet lighting, 2 zoned heat pumps. Walk or bike to restaurants, galleries, pier and enjoy island living. 60 miles to international airport.